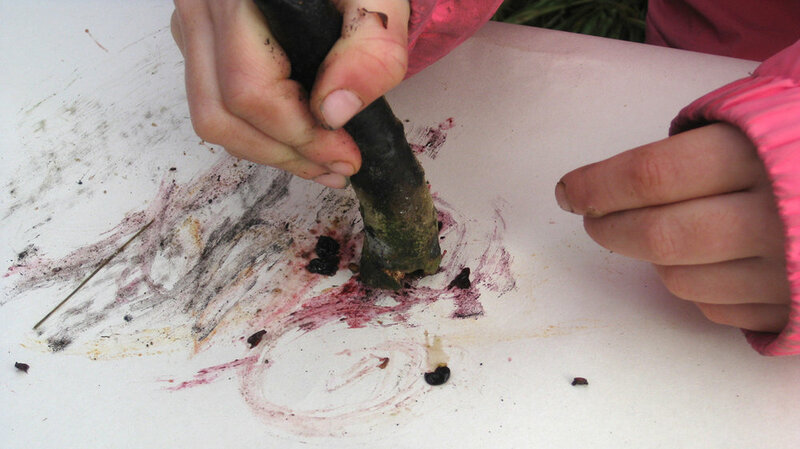 At Allanton Forest School children get to take part in activities that encourage creativity and exploration. All of our activities are designed to be fun and interesting, and importantly something they would probably never otherwise experience. Lessons are designed to offer a continuum of learning, over which children will gradually build up their skills and confidence of working and playing in the natural environment. We progress towards activities involving tool use and fire at a rate suitable to the individual group. Our programme is run by Level 3 Forest School-trained leaders. It focuses on learning outside, connecting with nature, gratitude for the earth, and improving well-being and social skills in a relaxed and safe environment. This is a courgette with Monkey-puzzle seed legs and ears. Do you think it likes Hawthorn berries? The first week we picked the blackberries. 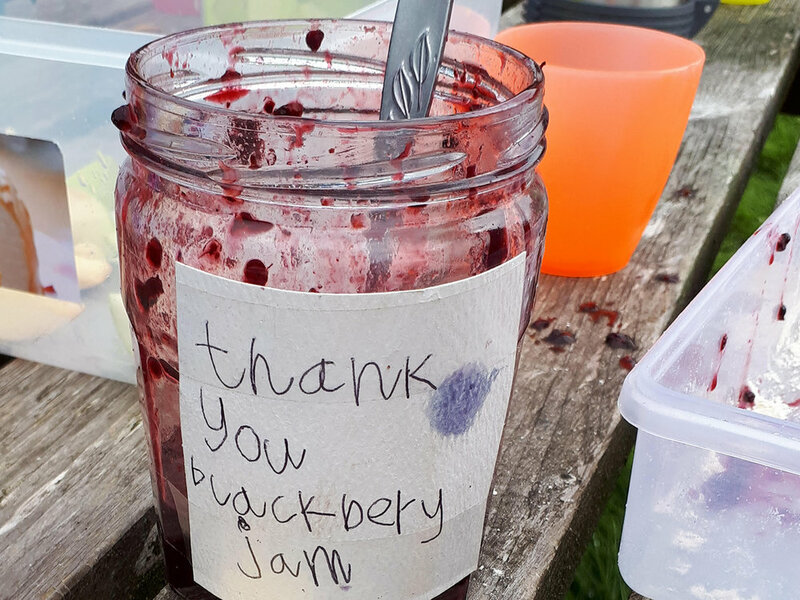 The second week we made blackberry jam. The third week… m’mmm! Berry juice, turmeric and charred wood all make great artist materials. We moulded clay around beeswax candles and walked with our Christingle candles in the Labyrinth. * This is an all-weather activity so children need waterproof clothing, wellies and sunhats. There are up to 20 in a group and in the future we would like to expand to help to build a Forest School network across Dumfries and Galloway. Who: Suitable for preschool children aged three to ten (or younger children accompanied by parents).